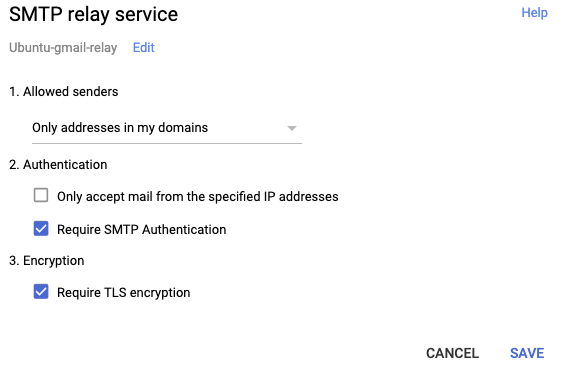 I came across a wired issue it is obviously Gmail relay service resolved as IPv4/v6 randomly, which causes the authentication not passed. I used DigitalOcean Ubuntu 18.10 + Postfix + G Suite account + Let's Encrypt all configured following instructions below. Looking at the difference, I found if the relay server resolved as IPv6 it will fail to pass the credential check. Can anybody identify the issue? Browse other questions tagged ubuntu ssl postfix g-suite lets-encrypt or ask your own question.